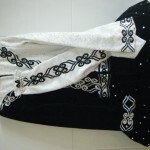 Thank you very much for your interest in my daughters dress. It is in excellent condition and is stunning on stage. 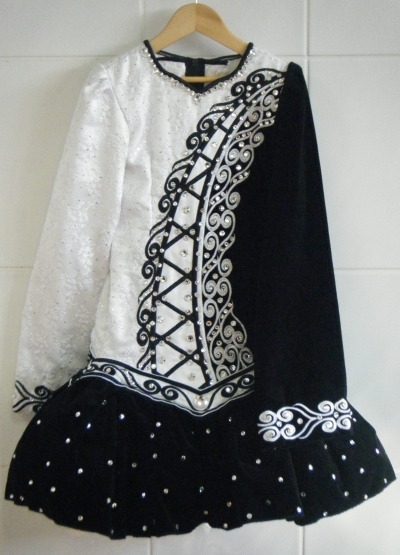 The dress is probably best suited for a slim U9 to U11 dancer and there is plenty of room to let out or take in should you need it. 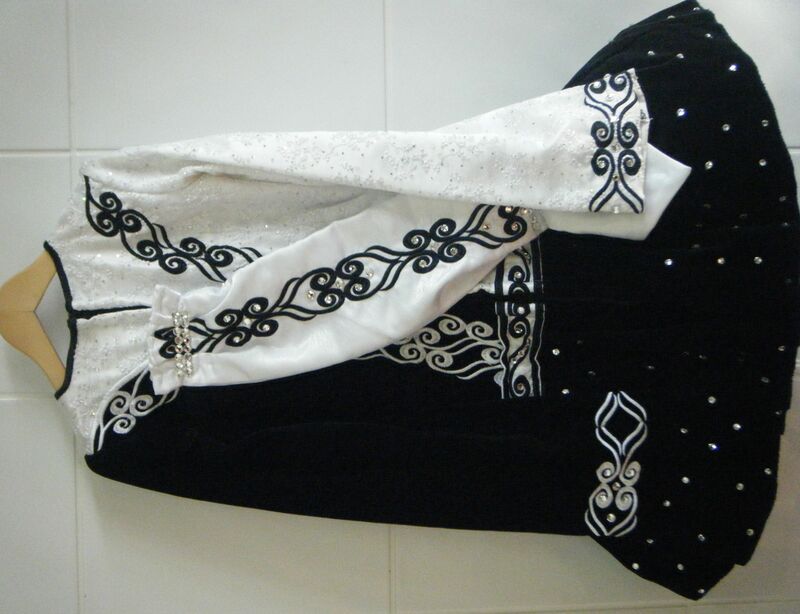 Shauna Shiels made the dress in October 2010 for our Oireachtas where my daughter qualified and recalled for the worlds in this dress – she considers it a very lucky dress indeed! Please feel free to email me with with any further questions you may have, I will be happy to help you in any way I can. 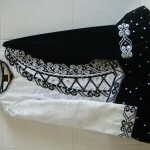 Thanks again for your interest in our dress, all the best. 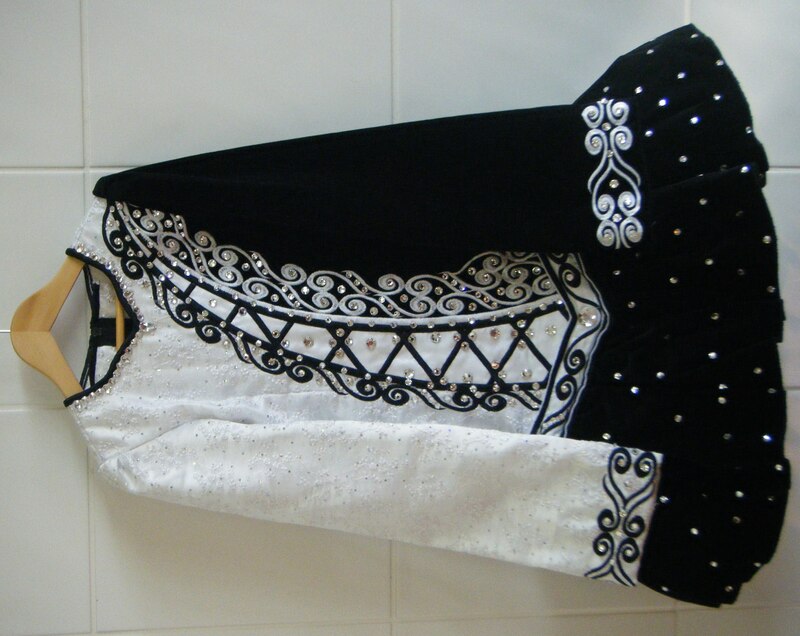 The dress is in excellent condition and has never been altered, there is plenty of room to successfully take in or let out. Asking Price: €950. Shipping costs are included for my own country, overseas shipping is extra. Returns are negotiable.